The National Integrated Ballistic Information Network is the only national network that allows for the capture and comparison of ballistic evidence to aid in solving and preventing violent crimes involving firearms. Since the program's inception in 1999, NIBIN partners have processed approximately – 99,000 NIBIN leads and 110,000 NIBIN hits. Approximately 16 million images in the network includes 3.3 million pieces of evidence. NIBIN cannot capture or store ballistic information acquired at the point of manufacture, importation, or sale; nor purchaser or date of manufacture or sale information. In 1999, the Bureau of Alcohol, Tobacco, Firearms and Explosives (ATF) established the National Integrated Ballistic Information Network (NIBIN) to provide local, state and federal law enforcement partner agencies with an automated ballistic imaging network. 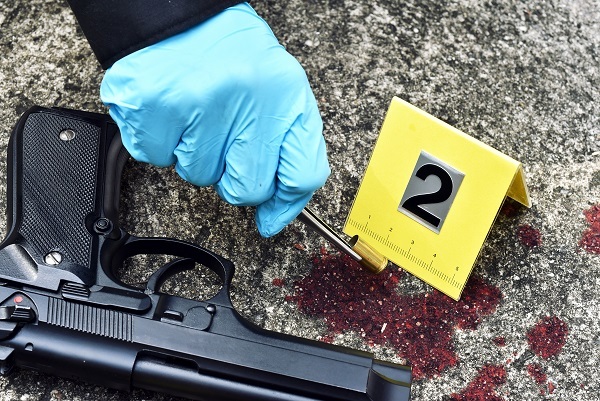 NIBIN is the only national network that allows for the capture and comparison of ballistic evidence to aid in solving and preventing violent crimes involving firearms. It is a resource that is vital to any violent crime reduction strategy because it provides investigators with the ability to compare their ballistics evidence against evidence from other violent crimes on a local, regional and national level, thus generating investigative links that would rarely be revealed absent the technology. Since the program’s inception in 1999, NIBIN partners have captured approximately 3.3 million pieces of evidence of ballistic evidence and confirmed more than 110,000 NIBIN hits, but the true performance metric of NIBIN is the successful arrest and prosecution of shooters. Comprehensive Collection and Entry: Partner agencies must collect and submit all evidence suitable for entry into NIBIN, regardless of crime. Evidence includes cartridge cases recovered from crime scenes, as well as test fires from recovered crime guns. Timely Turnaround: Violent crime investigations can go cold very quickly, so the goal is to enter the evidence into the network as quickly as possible in order to identify potential NIBIN leads and subsequently provide this relevant and actionable intelligence to the investigators. Investigative Follow-Up and Prosecution: Linking otherwise unassociated crimes gives investigators a better chance to identify and arrest shooters before they reoffend. Feedback Loop: Without feedback, NIBIN partners cannot know how their efforts are making the community safer, which is necessary for sustained success. Only crime gun evidence and fired ammunition components pursuant to a criminal investigation are entered into NIBIN. Therefore, NIBIN cannot capture or store ballistic information collected at the point of manufacture, importation, or sale; nor purchaser or date of manufacture or sale information. For more information on NIBIN go to https://www.atf.gov/firearms/national-integrated-ballistic-information-network-nibin.